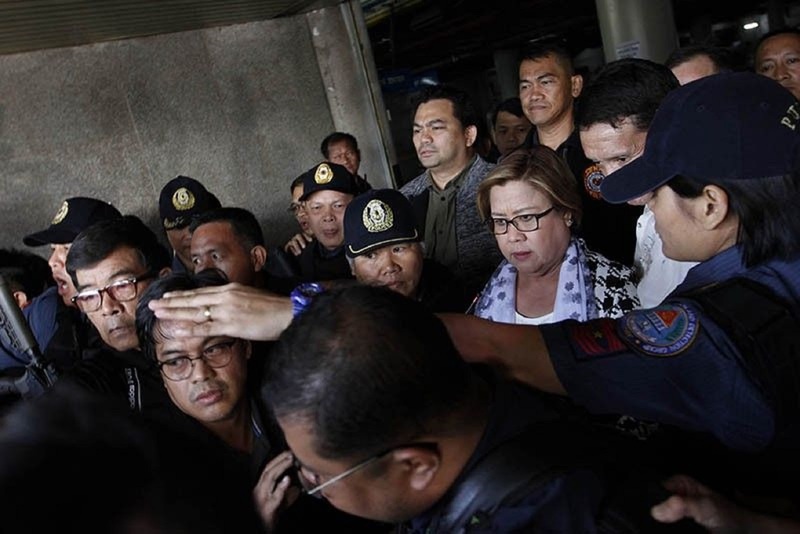 Detained Sen. Leila de Lima has filed a motion seeking to disqualify 13 known drug lords to become state witnesses in her drug cases at Muntinlupa Court. Her lawyer cited a law citing that its illegal to convicted person to become a state witness, "Under Section 10 of Republic Act 6981, Tacardon said those convicted of any crime involving moral turpitude should not be admitted as a state witness." The DOJ presented Nonilo Arile, Jojo Baligad, Herbert Colanggo, Engelberto Durano, Rodolfo Magleo, Vicente Sy, Hans Tan, Froilan Trestiza, Peter Co, Noel Martinez, Joel Capones, German Agojo and Jaime Patcho as witnesses against De Lima.